A debut album with soulful choruses and hard-hitting bars, full of truth, love, despair, worry, faith, pride, ego, and gratitude. 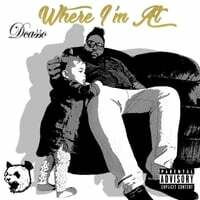 This is the debut album from Dcasso, a Midwest artist who draws inspiration from soul music, today's top rap artists, and everything in between. This is Dcasso spilling his heart out on everything from love to anger, from fear to gratitude. This is the summary of where he is in his life and what got him to this point. The album features top artists from Indianapolis: Poindexter, EJAAZ, Harlem Indynois, Marxus Lyvell, and Cruz.